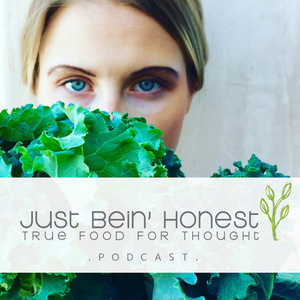 On this episode of the Just Bein’ Honest Podcast we have a story to share that is birthed deep beneath the wide and wondrous ocean. Bryan Mineo, better known as “The Swim Mechanic” tells his tale of how one of his greatest fears transformed in to his greatest fortes. He goes on to share how he created a thriving business leading others in overcoming their fears of the ocean by simply channeling the BREATH. Not only does he teach folks how to master their stroke, but a larger lesson is at hand here… one of wisdom, and that being prepared for what to expect can cultivate success in a multitude of ways in this thing we call “LIFE”. Get ready to swim strong with us, you just turned on the JBH Podcast, Let’s Rock This. Please subscribe to our PODCAST on iTunes and give us a 5 star rating - We would be honored and so grateful. Show Sponsor : SUN POTION - Sip and unveil the POWER from within you! These are really transformational foods for a high vibration, holistic lifestyle. Sun Potion offers the highest quality tonic herbs and superfoods, always organic or wildcrafted, consciously sourced from around the world. My morning favorites are the Yin Power which is a tonic blend that contains the ingredients Organic Reishi Mushroom, Wild-harvested He Shou Wu Extract, Wild-harvested Pearl Powder, Tocos, Organic Ashwagandha Extract, Wild-harvested Pine Pollen, Wild-harvested Astragalus Extract, Organic Shatavari. I simply add 1 tsp to my favorite tea, but it’s also excellent blended into smoothies, shakes, raw chocolates, warm potions, coffee, and other creative elixirs! Are you curious yet as to how Sun Potions products can have an effect on your personal Immunity, Creative Energy, Hormonal Balance, Mental Clarity, Stress Relief and even Cellular Regeneration? There’s one way to find out, you can purchase right here, and right now by simply clicking these links!